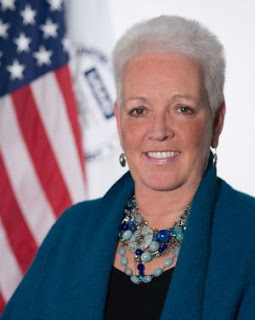 Author’s Note: The following is a true and correct copy of my letter to USAID Administrator Gayle E. Smith dated March 16, 2016, and the response I received from T.C. Cooper, Assistant Administrator, USAID Bureau for Legislative and Public Affairs dated April 7, 2016..
My letter questions recent statements made by Ms. Smith regarding the famine in Ethiopia and solicits factual and policy clarifications. Mr. Cooper’s letter is non-responsive to my inquiries and ignores specific factual and policy issues I have raised with the Administrator. It is a matter of public record that I have fiercely opposed Ms. Smith’s confirmation to become USAID Administrator. But as a true-blue constitutionalist, I acknowledge and respect the Senate’s vote to confirm Ms. Smith despite my personal opposition. My inquiry letter is guided purely by my concerns as an American citizen and taxpayer, and not by any residual personal animus from the confirmation process. In one of my first commentaries opposing Ms. Smith’s confirmation, I promised, “We will use every legal means available to us under American law to question Smith’s official actions and decisions…” The fundamental purpose of my inquiry letter is to hold USAID accountable in its use of American tax dollars in a country whose “government” has a proven history of “using aid as a weapon of oppression” and as an insidious tool of corruption. I am writing to follow up on your March 3, 2016 interview with James Kirby in which you discussed “new measures” aimed at addressing the “drought” in Ethiopia. Before I get into the gravamen of my letter and in the interest of full disclosure, I should like to state at the outset that I am one of the individuals who fiercely opposed your appointment to head USAID. I came out against your confirmation in my op-ed in The Hill on May 12, 2015. I have also expressed my opposition in a variety of other advocacy forms and forums including on my own website. My opposition to your confirmation was based on three factors. First, I believe your record in promoting and supporting democracy, freedom and human rights in Africa is poor. Second, I believe your unwavering support for African dictators for the past three decades has been detrimental to the welfare of Africans. Third, I disagree with your approach to U.S. foreign policy in Africa, which I believe treats Africans as welfare aid recipients who must be perpetually tethered to the pockets of hard working American tax payers. I am making the foregoing disclosures not to rehash my past opposition, but to contextualize the instant inquiry letter. In your interview with John Kirby on March 3, 2016 concerning “what USAID is doing to mitigate the effects of drought in Ethiopia”, you made a number of observations which surprised, confused and bewildered me. I found your remark quite jarring as it suggests that Ethiopia is being singled out and struck harder than any other country on the planet as a manifestation of divine curse and wrath. I trembled as I contemplated your remark and the possibility that the Black Horseman of the Apocalypse has been sent to visit Ethiopia on a divine mission of retribution not meted out to any other country. Why is “El Nino” “striking Ethiopia harder than any other country” on the planet? Second, in your remarks you mentioned absolutely nothing about the role of poor governance, lack of planning and organization by the ruling regime in Ethiopia as even a partial proximate or actual cause for the “drought”. You also made no mention of the manifestly poor response to the human costs of the drought despite advanced warning by your own Famine Early Warning System. Do you believe that poor governance and planning are at least aggravating factors in the causation, spread and/or persistence of the current “drought” in Ethiopia? Has your agency inquired and come to any conclusions concerning the fact that the absence of good governance, bureaucratic incompetence and corruption in the ruling regime in Ethiopia have contributed to the “drought” or consequences of the “drought”? Third, you stated that the “United States has, to date, provided over $500 million” and “deploy[ed] what [is] call[ed] a disaster assistance response team.” You also indicated the U.S. is “prepared to look at more” than $500 million. The sum of USD$500 million is undoubtedly a considerable amount of money. As an American taxpayer, I feel the sting of such generous alms-giving. My concern has to do with corruption in the expenditure of the $500 million. As you may be aware, the ruling regime in Ethiopia has been accused of misappropriating, stealing and converting humanitarian assistance for political purposes (e.g. buy votes) and corruption. … [W]we could not determine the extent of that contribution because of weaknesses in the mission’s performance management and reporting system. Moreover, the audit could not determine whether the results reported in USAID/Ethiopia’s performance plan and report were valid, because mission staff could neither explain how the results had been derived nor provide support for those reported results. What safeguards, if any, are in place to ensure the ruling regime will not put any of the $500 million to political purposes? What accountability processes are in place to ensure the prevention of corruption in the administration of the aforementioned assistance in Ethiopia? How much of the $500 million is provided to the ruling regime in Ethiopia in the form of discretionary or non-discretionary expenditures? With all due respect, are you aware that the “government” owns all land in Ethiopia? Are you aware that Ethiopian farmers cannot sell the land by law? Is it possible you may have confused Ethiopia with some other country where full private ownership in land is permitted? Fifth, as you may be aware, “land-grabbing” facilitated by the ruling regime has been alleged as the principal cause of recent uprising throughout the country. For a number of years, various informed commentators have suggested that the “government[‘s] leasing [of] fertile land to foreign investors” is partially to blame for famine and food insecurity in the country. What do you believe to be the consequences of foreign investors leasing large swathes of fertile land on Ethiopia’s food sufficiency and mitigation of food deficits? Do you believe there is any causal relationship between landlessness and the incidence and severity of famine in Ethiopia? Sixth, you stated, “We are moving earlier in this case because we have found that there is real alignment between donors, NGOs, the government, and UN agencies that if we move very, very, very quickly, we can avert the worst impacts of this drought.” What exactly is the “real alignment” between donors and the other elements of the humanitarian communities? Was it the absence of “real alignment” between donors, NGO’s, etc., in the past which has undermined rapid response to “avert the worst impact of droughts”? I should be glad to be corrected but the Ethiopian “government” has made no public statement regarding its contribution of “1.2 billion” “into the mix”. Is that $1.2 billion USD, Ethiopian birr or some other currency? Bandying around the “1.2 billion” figure without empirical support could seriously mislead the Ethiopian public and ultimately undermine the credibility of USAID. It may be helpful if USAID were to issue a clarification on this issue. Nonetheless, the core question is exactly how much money in USD or birr the Ethiopian “government” is putting “into the mix and doing their equivalent of kind of an emergency request”. Could you share that piece of information? Your remark strongly suggests the only “losses” to date are livestock. Media reports are currently headlining, “Ethiopia hit by worst drought in five decades”. It is well-established that in the 1984-85 “drought” 32 years ago hundreds of thousands of people died as a result of famine. It is also established that in the 1973-74 “drought” 42 years ago, hundreds of thousands of people died as a result of famine. I am completely bewildered by your exclusive reference to livestock “losses” and not even mention any losses of human life in Ethiopia in 2016 when Ethiopia is hit by the “worst drought in five decades”. Has USAID surveyed for human losses in the current “drought”? If so, what are the losses in human life? Pardon me for being confused. What could be “something worse” than the “worst drought in 50 years”? What could be worse than the “biblical famine” of 1973-74 or the cataclysmic famine of 1984-85? Do you believe you have a moral obligation to tell the Ethiopian people that there is “something worse” than the “worst drought in 50 years” possibly in store for them in 2016? As you may be aware, Human Rights Watch and others have reported (pp. 75-78) that the Development Assistance Group, of which USAID is a part, has resorted to willful ignorance to well-founded allegations of “politicization” of the Productive Safety Net Program. There are some informants who allege nothing has changed in the politicization of that program over the past six years. In your claim of “considerable progress” in the Productive Safety Net Program, what do you consider to be “progress” and what are you criteria for measuring progress? What safeguards are in place to prevent future “politicization” Productive Safety Net Program by the ruling regime in Ethiopia? What are the specific “robust monitoring systems” you mentioned were in place “to make sure that it gets where it needs to go”? I take it the “10” and “11” refer to millions of people “affected by the drought”. Your comments are not clear to me. Are you suggesting that you have a margin of a million people to determine if the drought situation is turning into a famine situation? What is the significance of staying at the 1o million magic number in quantifying the number of people affected by the “drought”? I have no illusions that you will respond to my inquiry given my fierce opposition to your nomination. By the same token, I would not be surprised if you felt my inquiry is not made in good faith. I should like to suggest that I am not the only person who has questions about your answers in your recent interview. I trust you will accept my declaration that my only purpose in writing this letter is to make sure that U.S. humanitarian aid is delivered in Ethiopia is put to proper use and in conformance with applicable U.S. laws. Nonetheless, I hope to raise the questions herein with my considerable readership in Ethiopia and globally. I shall present your responses to my readers unedited should you find it appropriate to respond. I shall await for your responses until April 8, 2016. Alemayehu (Al) G. Mariam, Ph.D., J.D. Click HERE to read the true and correct PDF copy of the response to my letter by USAID’s T. Charles Cooper, Assistant Administrator. Note: References in the original letter were provided in footnotes, which have been converted herein into hyperlinks.